The Ultra Finishing Polish by Meguiar´s is a product suitable to quickly, permanently erase holograms and mild defects from all painting types, giving car surface an intense gloss. It is easy to apply and remove using the Super Soft Foam Bonnet by Meguiar´s (WRFF7). 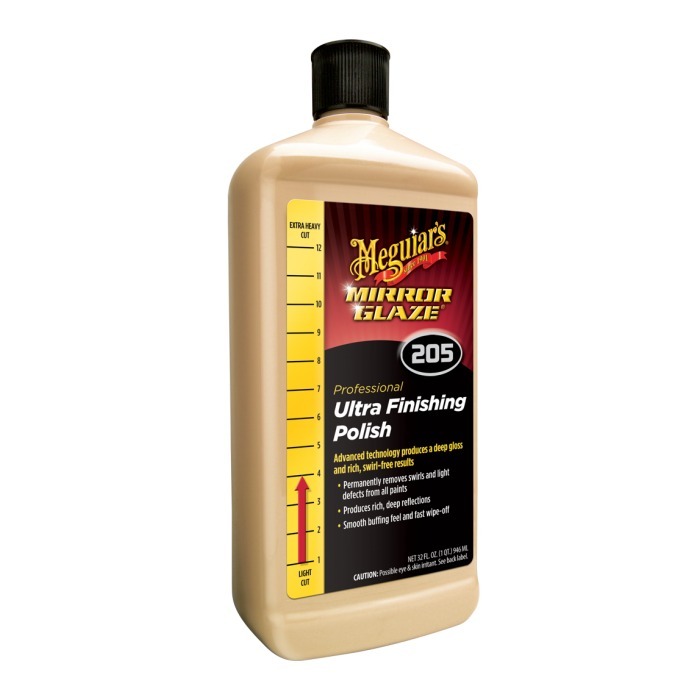 Use it after using the Ultra-Cut Compound (M105) or any other compound by Meguiar´s. Safe for use in repainting workshops.